Often I wondered what it must be like being an expat mom in Prague and not speaking the complicated Czech language. Most may not understand the billboards or other ads promoting events and activities for kids in prague. Realising this motivated us to create our site in English to help you out a bit. So here is a list of events starting 30.5 through to 3.6 for Children’s Day in Prague. Enjoy and let us know where you went. PROGRAM: * Cycling course for Kids under the supervision of professional instructors * Exhibition of Kids bikes * Bouncy Castle * Graphic ring led by artists from the Charles Bridge * Puppet Theatre show * Professional entertainment team * Exhibition by kids from Vodickova school - fashion show and a concert by rock group Masakrózní hustec * Historical Fencing * Magician show * Demonstration of volunteer firemen and municipal policemen… and many other attractions plus competitions. The winner will win a Kids bike. It’s also worth mentioning that Slovansky Island has a very nice playground and restaurant. PROGRAM: At Kampa Community Centre (right next to Kampa Museum) they will have lots of indoor and outdoor activities for kids including clowns, an art workshop, drum show and a bouncing castle. On this day all kids pay just 1czk entrance fee. PROGRAM: Kids can experience a live exhibition and show of the Police dog squad and Police on horses. 15:00 - Concert of the famous Czech kids entertainer Dáda Patrasova, 16:00 - 17:00 - Hip-Hop and kickbox show by Kid groups, 17:45 - Raffle draw to win a Disneyland Paris trip for the whole family, 15:00 - 18:00 - Activity path with awards, face painting, Balloon show by Clown, 18:00 - Kids DISCO. First 500 Kids will get an Ice-cream and a baloon FREE. PROGRAM: 10.00 Magician Show, 14.30 - 16.00 Theatre shows, 16.00 - 17.00 Dance Hall Disco. There will also be a craft workshop, face painting, competitions and fun for all. PROGRAM: A rich program will be ready on the 2nd floor of the mall. Kids can visit an art workshop, where they can try compiling wooden puppets, paint wooden originals or beads. Anyone who likes to sing and dance to music will love the Bobik show between 14:00 - 16:00. There will also be face painting and cotton candy for everyone. On this day all Kids below 150cm pay just 1czk entrance fee. PROGRAM: There will be many activities for Kids, facepainting, Zorbing, mini DISCO, art workshop and competitions. PROGRAM: face painting, balloon and bubble show. The Puntanela Toy shop will prepare a workshop of brain teasers and competitions. Part of the show will feature a the well-known Albertik, a school boy show along with his mascots. You can also get your picture taken with them. 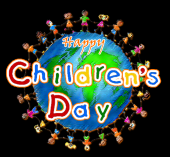 PROGRAM: Celebrate Children’s Day in Cowboys and Indian style! On this day Novodvorska Plaza will turn into a paradise for all Indians. Come and see the Indian teepees and dream catchers or Indian dance. Kids can try drums and learn how to cast animal tracks. Kids can take home a self-made Indian headdress or necklace. Dress up in a Indian or Cowboy costume and do not miss this fun afternoon! PROGRAM: Games and competitions will be run for kids in the fantastic outdoor playground and sports courts (look out for our story on this place soon). There will also be face painting, a magician, rewards for children, music and dancing. There will also be a papellote stationery point for adults and kids. The workshop will begin at 14:00 till 16:00. You can also learn how to make your own jewelry with the help of jewellery designer. A big selection of food and refreshments will be prepared and is included in the admission fee. PROGRAM: Admission free. The Yellow Spa by the river will have many activities for Kids, competitions and shows with a pirate theme. Kids are most welcome to dress up in pirate costume.